Yesterday was Stanley Kubrick’s birthday—he would have been 87—and in honor of the filmmaking giant, here’s a collection of tracking shots from four of his films. 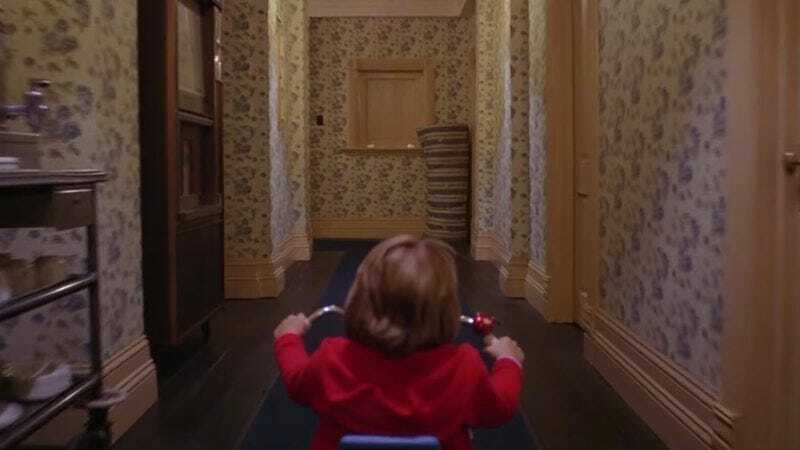 Pulling from 2001: A Space Odyssey, A Clockwork Orange, Eyes Wide Shut, and The Shining, CutPrintFilm has assembled a montage of Kubrick’s hypnotic tracking shots (plus a few shots that are designed to look like tracking shots). As edited by Tyler Costill, it’s a testament to the visual precision that characterized all of the director’s work, even as it surveys only a handful of his films. Even out of context, these beautifully crafted images are spellbinding and draw the viewer in.